To all of our attendees… Thank you for joining us for The Outpouring, and for investing your time and resources into what we are doing at Abba’s House Media! We hope that you were as blessed by being here as we were by your presence. It was wonderful to meet and minister to so many of you, and we hope that you will be back with us again soon. To John Kilpatrick and Nathan Morris… you brought His message with a power and anointing that shook the House! We received the Word you brought, and saw miracles and healing take place. Lives were changed because of the time and anointing that you shared with our people… not just here in Hixson, but around the world. We heard from people across the nation and in other nations as thousands of people took advantage of technology and joined us online. Thank you both for being open to the Holy Spirit, and for bringing the streams of revival that are a part of your lives into the river of The Outpouring! To the Abba’s House Media Team… You guys knocked it out of the park through your diligence, planning, and preparation. Thank you to Pastor Angie McGregor and all the AHM staff for putting in the long hours, hard work, and heart-felt commitment to seeing lives changed. To our Worship, Hospitality, and Servant leaders… From greeting people in the parking lot to taking them before the Throne in worship, you all did such a fabulous job of making The Big Event experience a positive one for every one of our over 800 visitors. Thank you all for your sacrifice of time, energy, and praise. We couldn’t have done it without you all. There were a number of videos that we showed to our attendees, from testimonials of the work Abba’s House Media does in reaching people, to the vision Pastor Ronnie has for our ministry as we move into the future. I invite you to check them out below. Also, if you missed The Outpouring at The Big Event, and would like to experience it for yourself (or you were here and would like to get a copy to re-experience it, or share it with a friend), you can order the complete set of messages by clicking HERE. There was a little boy named Rick. As a young child, his father abandoned his mother. With no income and unable to support her family, Rick’s mother had to put him and his brothers in an orphanage. 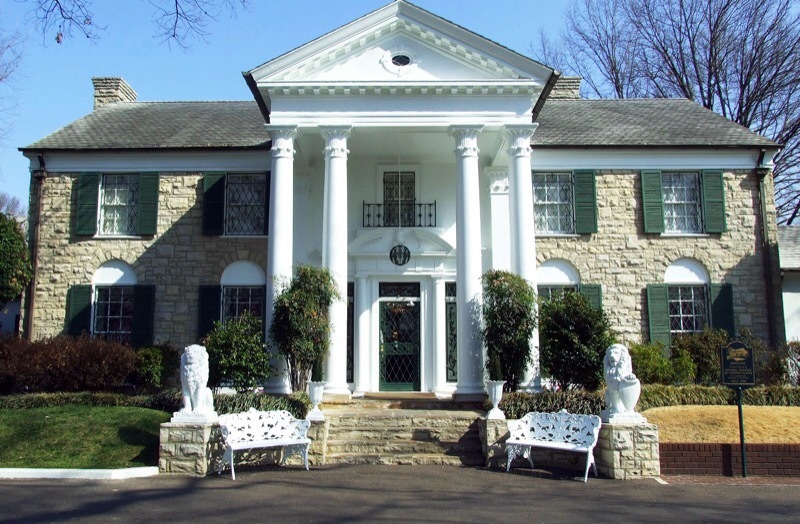 As they passed through the gates of the world-famous home of Elvis Presley, the car came to a stop, and upon passing through the doors, they were greeted by “The King” himself. “I always wanted a little brother, and now I have three”, they were told as the six-year-old Rick and his two brothers were met by their famous half-sibling. You see, Rick’s mother had married Elvis’s father. The next morning, they discovered a yard filled with toys, bicycles, and gifts, and they ran with joy from one item to another, amazed to find themselves in such a home. The perfect means “complete.” Jesus was willing to do all that had to be done to give us complete salvation. He came to lead a new family home to glory. All of the resources of Heaven are available to us as children of the King, and co-heirs of Jesus. I don’t know about you, but I think that is Good News worth sharing! I will be joining Pastor Ronnie Phillips, Jr. at the RPMI Wilderness Conference in Chatsworth, GA. I hope you will join us for this powerful event. Damon Thompson, Eric Clark, and other will be with us. It all starts tonight (4-27), and runs through Sunday night (4-30). If you can’t be with us in person, you can watch it online on the RPMI Facebook page. Don’t miss out! Watch our LIVE STREAM during service times at the Abba’s House website, on our app, Facebook LIVE, YouTube LIVE, ROKU, and Amazon Fire! Tonight at 6:30… Perry Stone.